NC Business Hall of Fame -- John A. Forlines Jr. 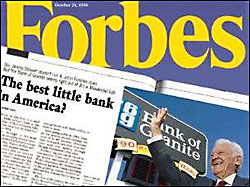 Widely known as "the best little bank in America", John Forlines and the Bank of Granite have become legendary in business circles, praised by such leaders as investment guru Warren Buffet. 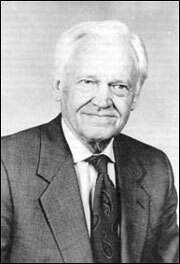 Junior Achievement Born on Jan. 18, 1918, in Graham, NC, John A. Forlines Jr. grew up in Durham and graduated from Duke University in 1939. He entered the U.S. Army in 1940 as a private. During World War II, he served overseas with the finance department of the Army. He rose to the rank of Major before being discharged in 1946. Forlines was hired as Secretary-Treasurer for the Durham-based Dailey's Inc.
On May 1, 1954, he was hired as president of the Bank of Granite, which had $1.2 million in assets. In 1959, the bank opened its first branch in Lenoir. The first public underwriting of bank stock was in 1984, and the bank began building its legendary tradition of increasing quarterly dividends. The bank didn't make its first acquisition until December 2002, when it merged with First Commerce. 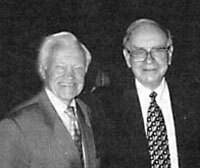 Forlines has served as president of the North Carolina Bankers Association (1977). 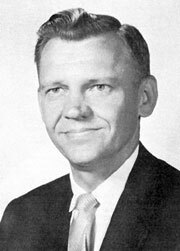 He also served as chair for both the State Community College Board (1985-1990), as well as chairman for 19 years of the Caldwell Community College& Technical Institute (1965 - 1984). He also served as trustee for Duke University for 16 years (1974 - 1990).